Easterseals serving Chicagoland and Rockford received a $20,000 grant from the Comcast Foundation as part of the Comcast NBCUniversal Assistive Technology Grant Fund. 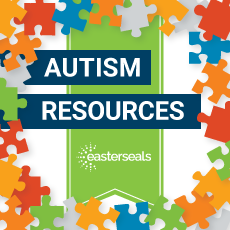 Thanks to the support of the Comcast Foundation, Easterseals will leverage the documented efficacy of Applied Behavioral Analysis (ABA) in the autism classroom together with The Catalyst Data Collection and Assessment System Project by empowering teachers to continuously collect data on targeted, socially-significant behaviors (academics, social skills, communication, adaptive living skills, etc.) in order to identify and employ specific interventions that are working best for each student. Easterseals serving Chicagoland and Rockford is one of 10 Easterseals affiliates across the country selected to receive a grant from the Comcast Foundation as part of the Comcast NBCUniversal Assistive Technology Grant Fund. Established in 2011, this fund supports technology programs and services that benefit children and adults, including veterans, living with disabilities. These technologies can vary from braille-equipped handheld computer systems to augmentative communication devices and everything in between.